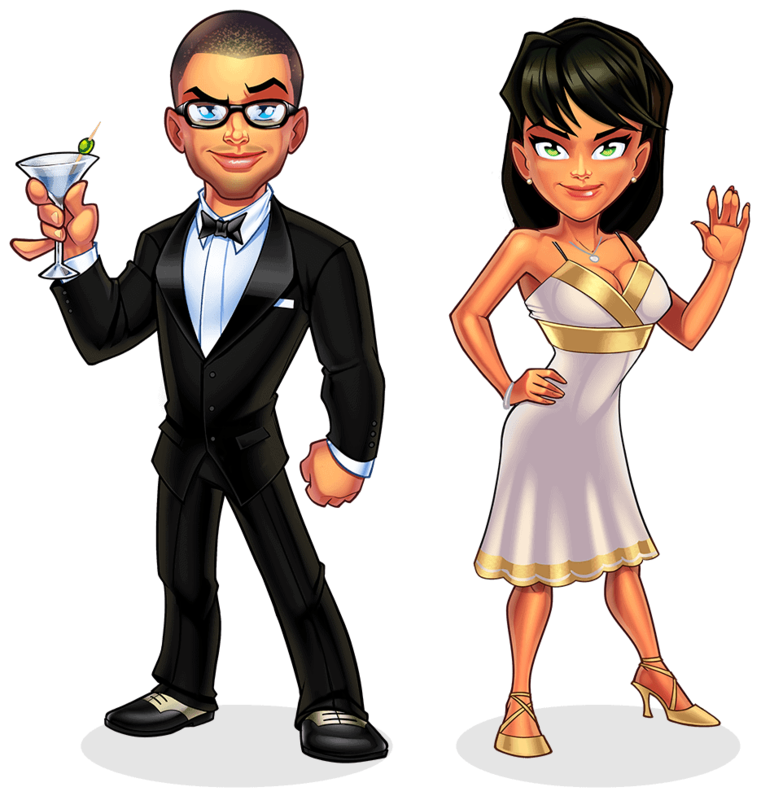 Premium Royalty Free avatar system based in Photoshop. 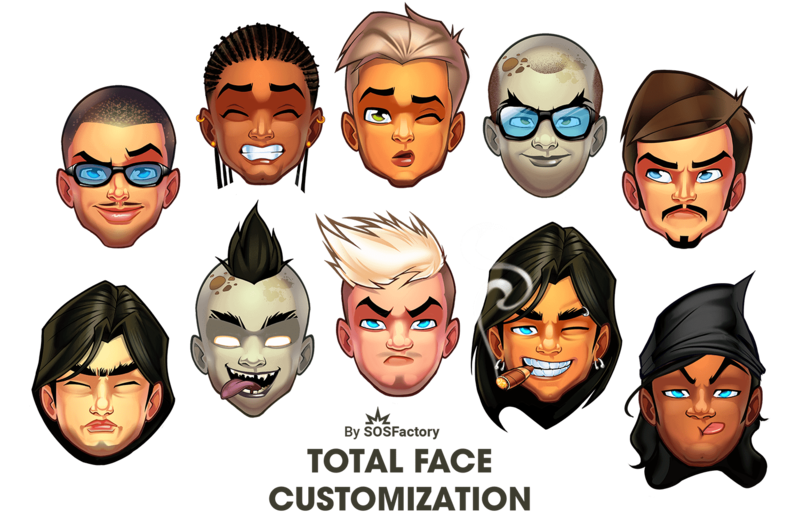 I have created a very affordable avatar creator with hundred of items and thousands of combinations, premium graphics, high resolution, full body Avatar Creator for male and female characters, fully customizable and editable from the skin color or hair dresses to the clothing. 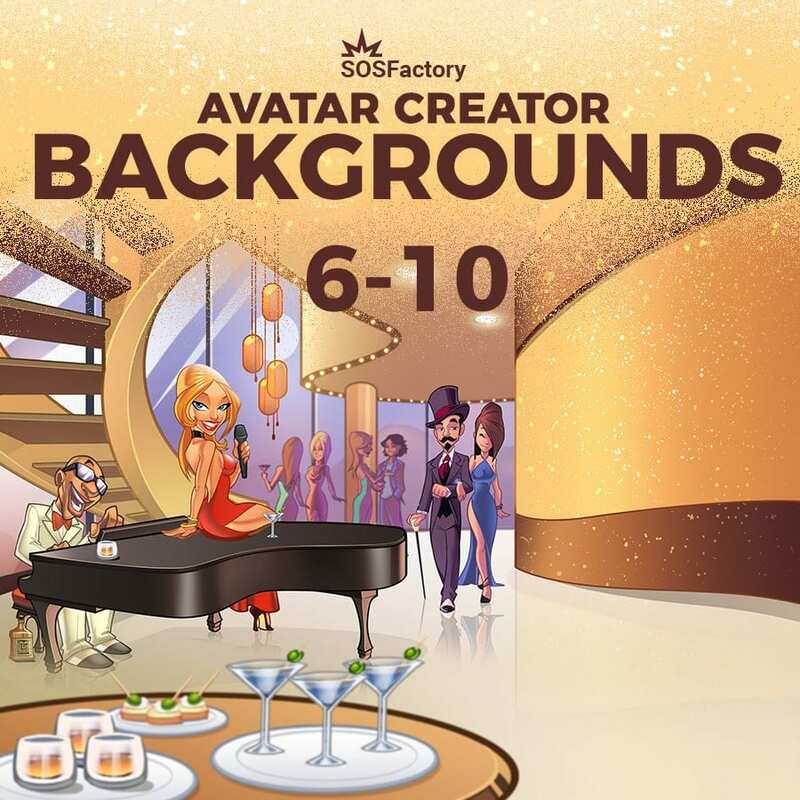 Once you download your Photoshop files you can create your own avatar in a matter of seconds. All you need is Photoshop and 2 scripts I have created for you. In this video I show you how to create your own avatar. Each set contains 15-20 items and I have created more than 20 sets per genre, it means you have 600-800 items with 6 colors to choose from. 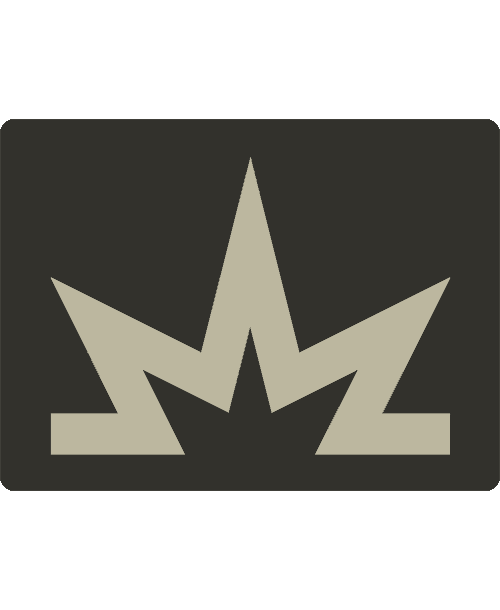 You can also edit, combine or create new items. Each item comes in 6 different colors, I also include a source Photoshop file fully layered, so you can edit the items and create new combinations easily. 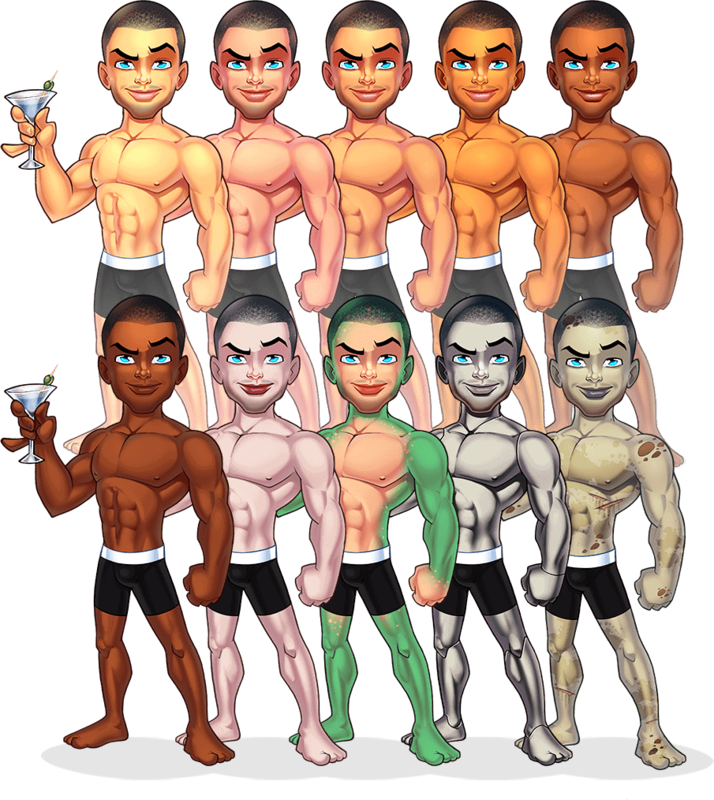 Avatar with 10 skin tones! I created 10 skin tones, from light to dark, this way you can create characters of all races in the world: asian, latino, afro, european… including vampires, robots, zombies… even aliens! If it’s not enough you can create your custom skin item since I provide a source file fully layered. Some avatar makers change the skin tone by using transparency, easy job but poor results… I opted for creating skin items manually. 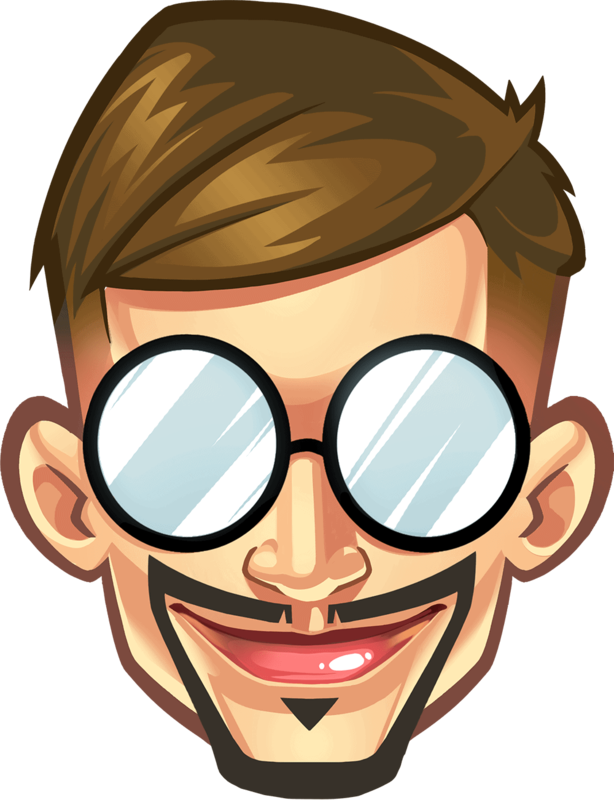 With the goal of increasing user loyalty I created avatar backgrounds with 10 different levels of progression. 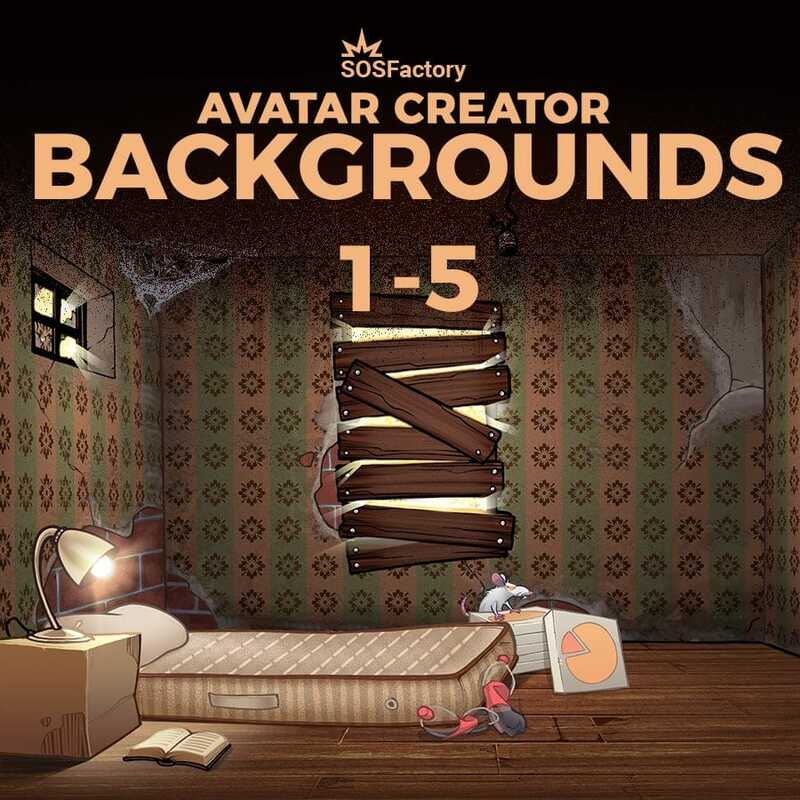 Photoshop based Avatar Backgrounds: high resolution files 3000x2300px, fully layered and reasonably editable. 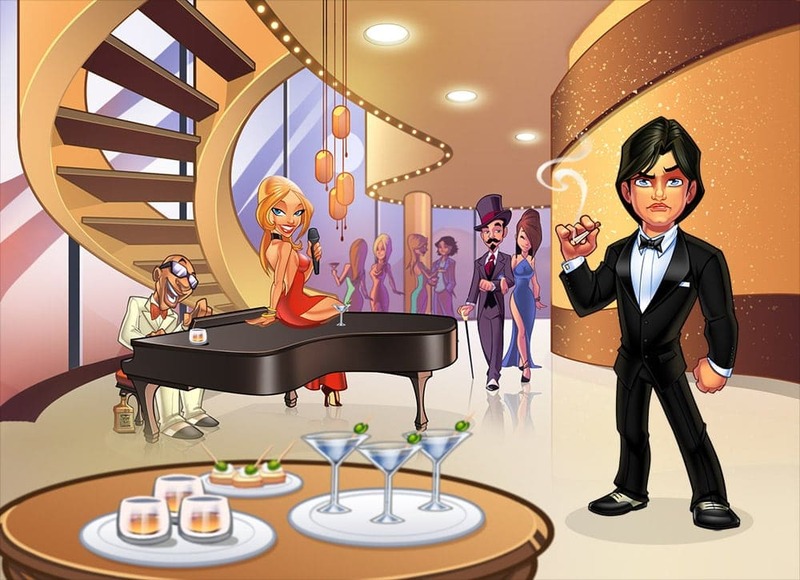 Backgrounds with 14 levels of progression, from really poor to extremely wealthy. You may need to rename your items following a nomenclature given, you can use my scripts Batch Rename and Export Layers to PNG Files to do it in a matter of seconds, all items will stay at its original position in the canvas so you can stack them and it will fit perfectly. In the video at the beginning of the post I show you how do it. 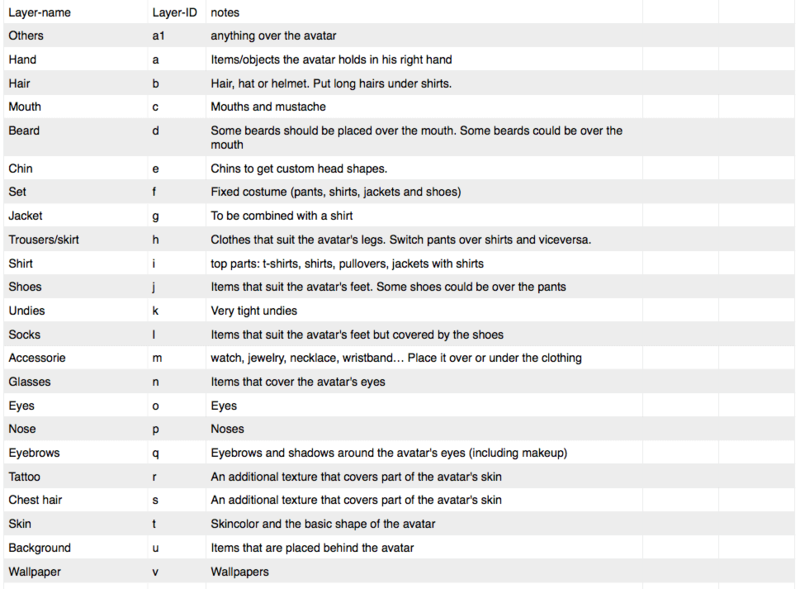 2.- Run the script to rename layers. 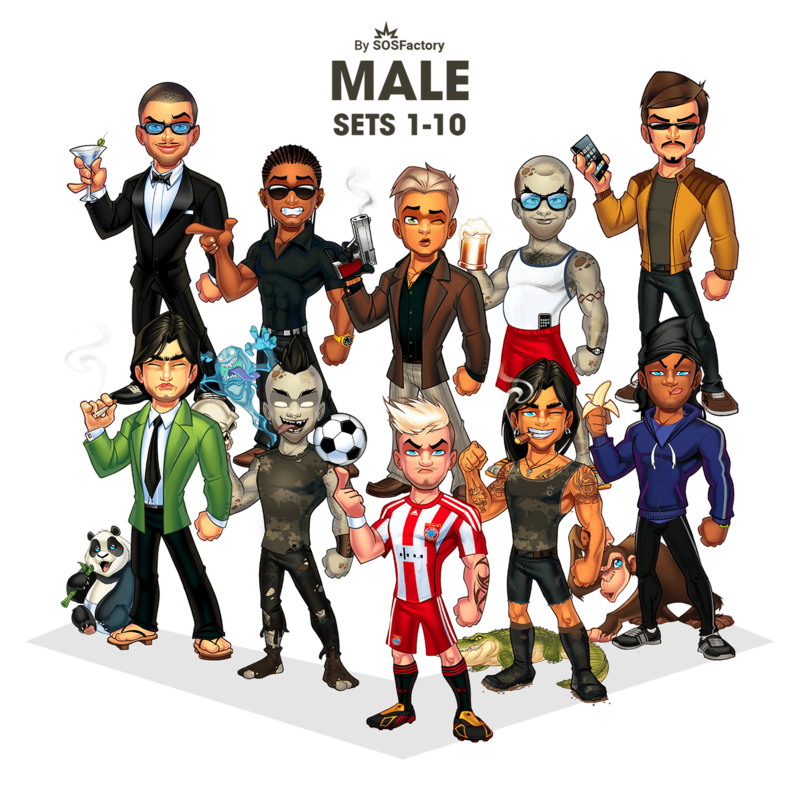 I have created around 20 sets per genre but you can combine them to create new combinations, those are just a small amount of the avatars you can create. Replies to the most common questions are listed here, feel free contact me if you need support. 10 different skin color in each set (including funny ones: vampire, zombie, robot and alien). 1 PSD layered so you can create your own color and combinations. 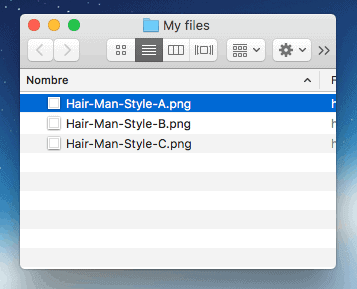 1 PSD with all items grouped in folders for easy naming and exporting. Custom Script to rename Photoshop layers automatically so you can export to PNG following a nomenclature given. 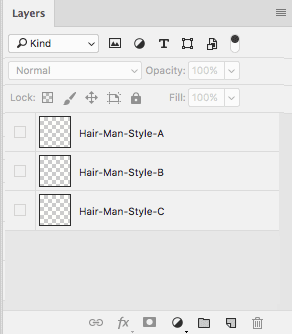 How could I rename Photoshop layers/files to a specific nomenclature? I have an script for that, checkout this batch rename layers in Photoshop script. Could I export Photoshop Layers to PNG Files? I also have an script to export Layers to PNG files, this script will preserve the layer’s name and the item’s position in the canvas. Could I import PNG Files to Photoshop Layers? 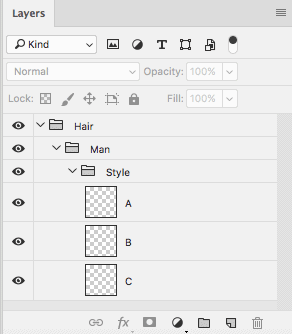 Once you have exported all Photoshop layers (one or more sets) to PNG files, you can pick one item in each category and import it into Photoshop with the native script “files to layers” to compound your avatar quickly. How could I exchange items between sets and place it in the right place? You can move items between sets with Duplicate feature, this will move the item to another document exactly in the same position of the canvas, so it will fit perfectly. Could I edit the item's color? Which each set I include a PSD file named “Source” with all items layered, so you can create a new colors just by clicking CTRL+U (CMD+U for Mac users) and adjusting each layer’s color. Can I create more items? Could I change the stacking order of the items? 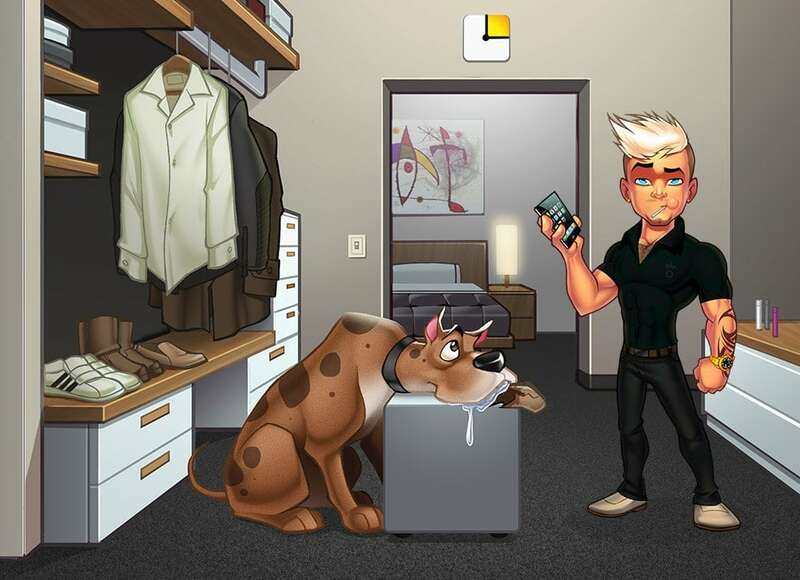 Can I use this Avatar Creator for commercial purposes? 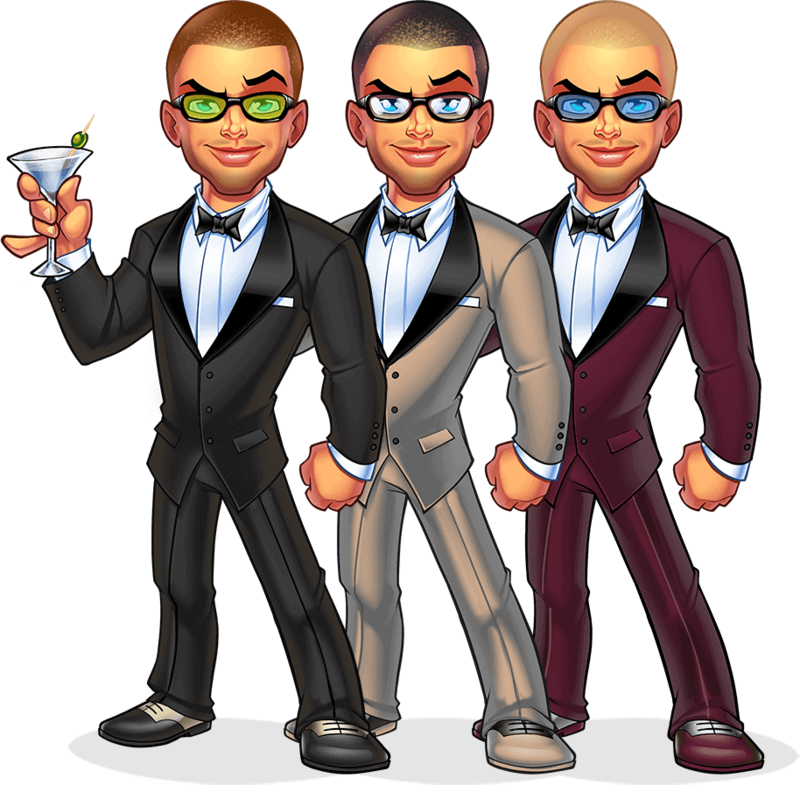 You can use my avatar creator for commercial purposes as long as you don’t sell, license or redistribute it. 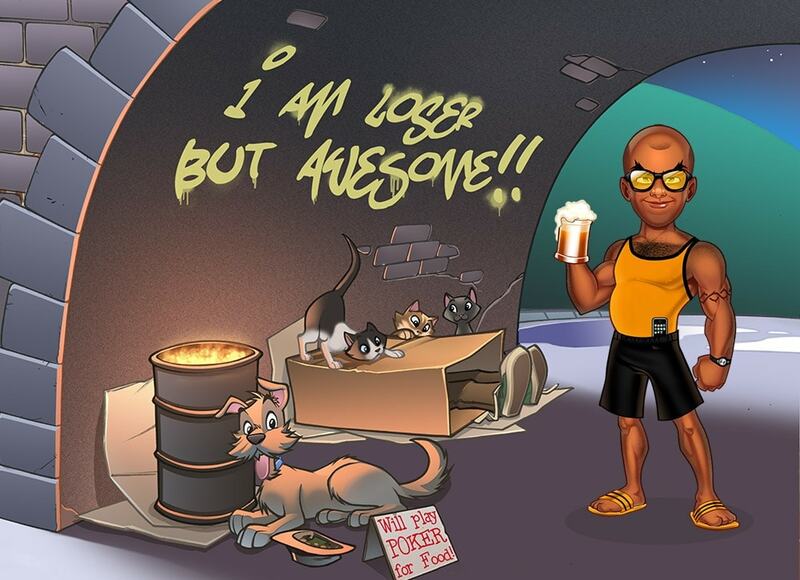 Every purchase of my avatar creator grant you the use in just 1 project. If you use it on a second project you should purchase it again. Contact me if you require a developer license for unlimited usage.